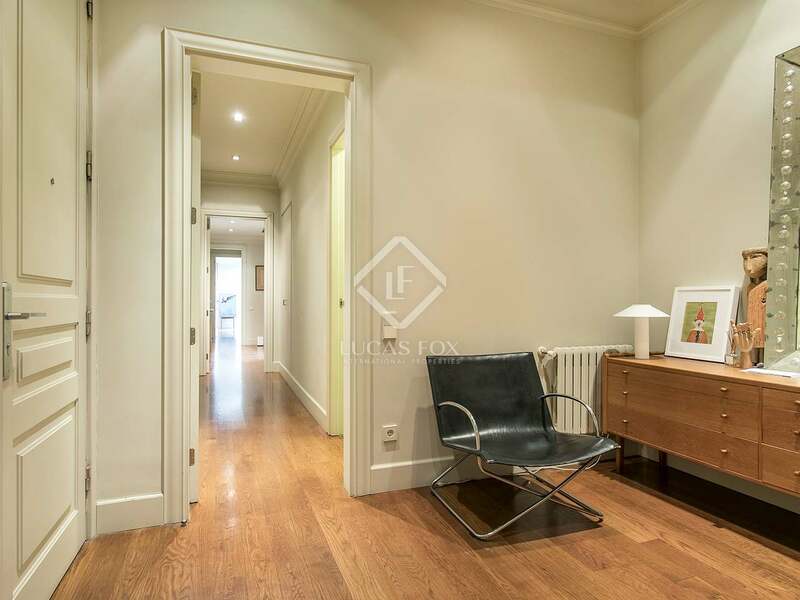 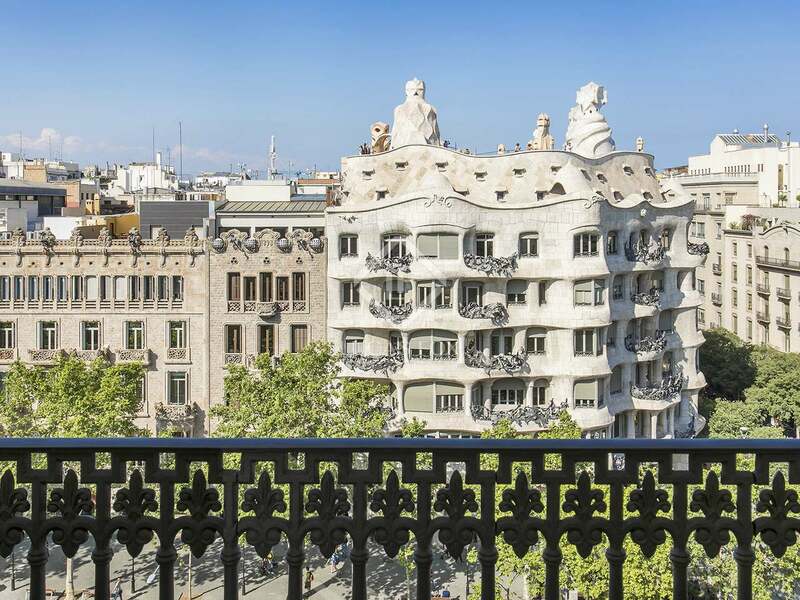 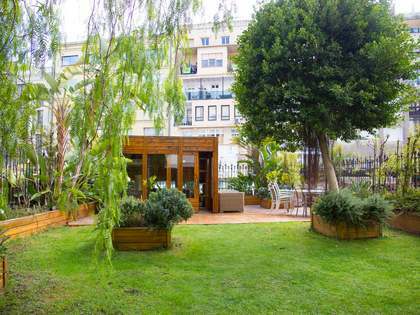 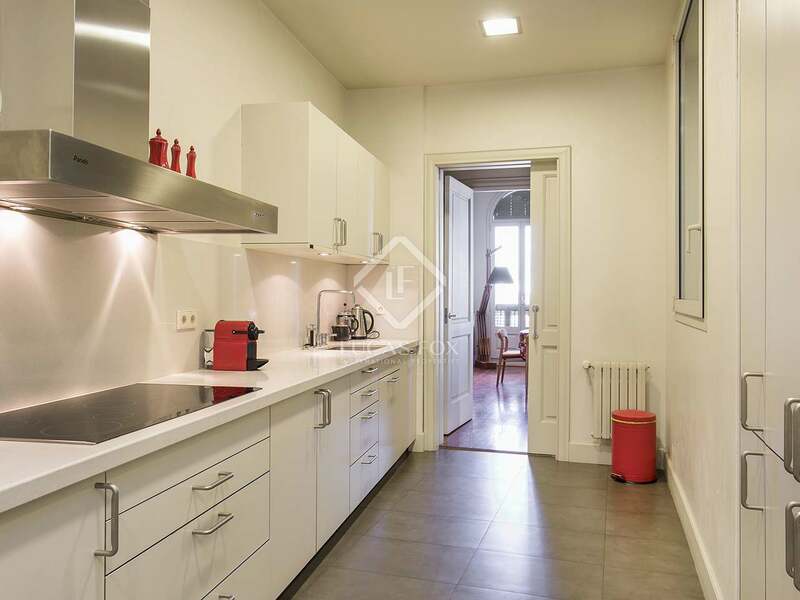 Beautiful elevated apartment on Passeig de Gràcia with unbeatable views of Gaudí’s magnificent La Pedrera. 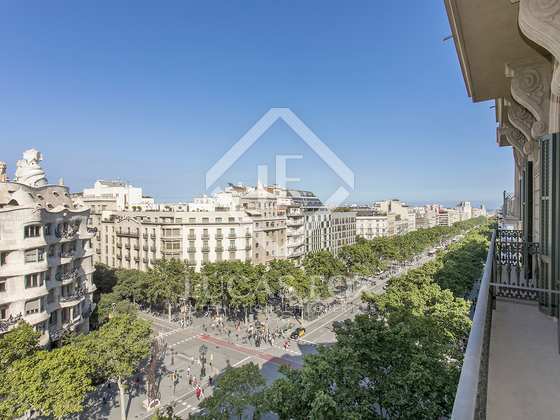 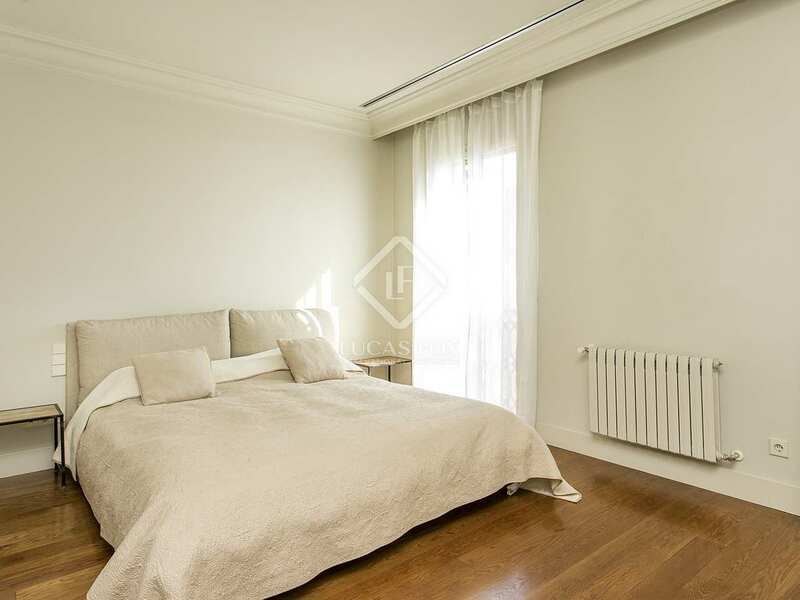 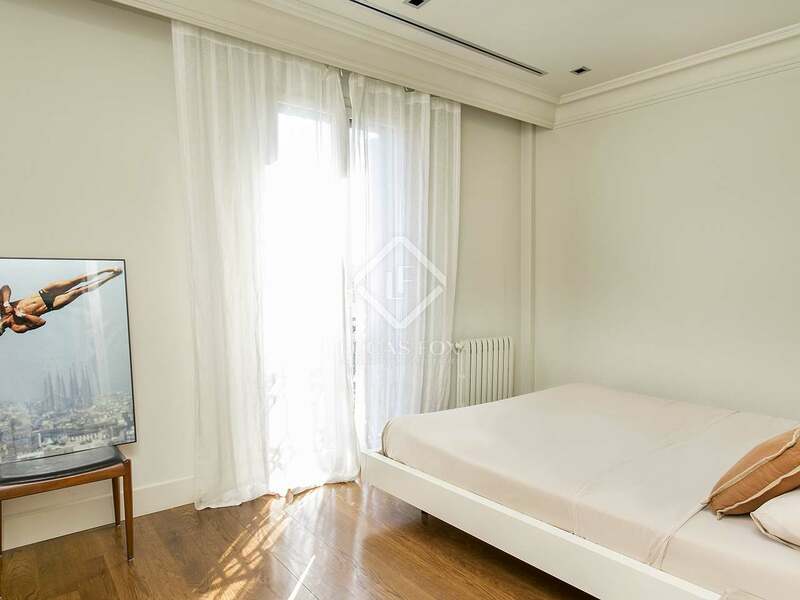 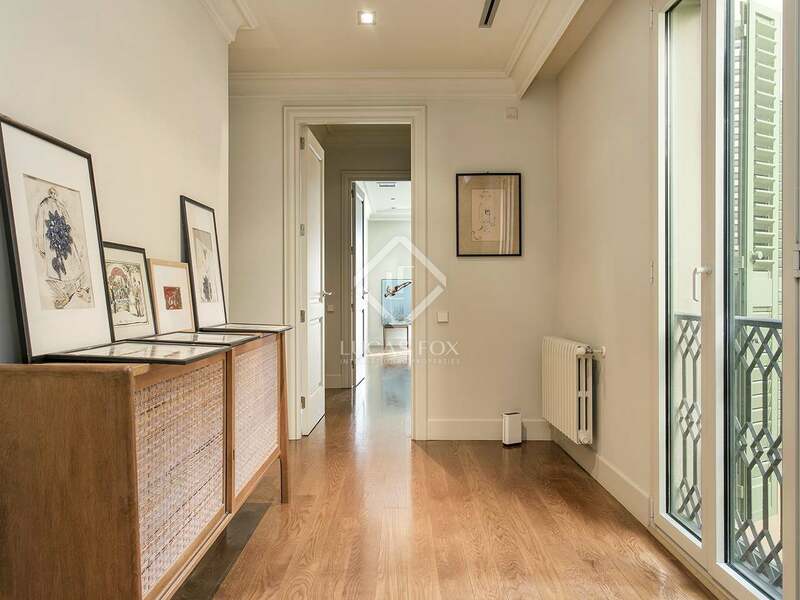 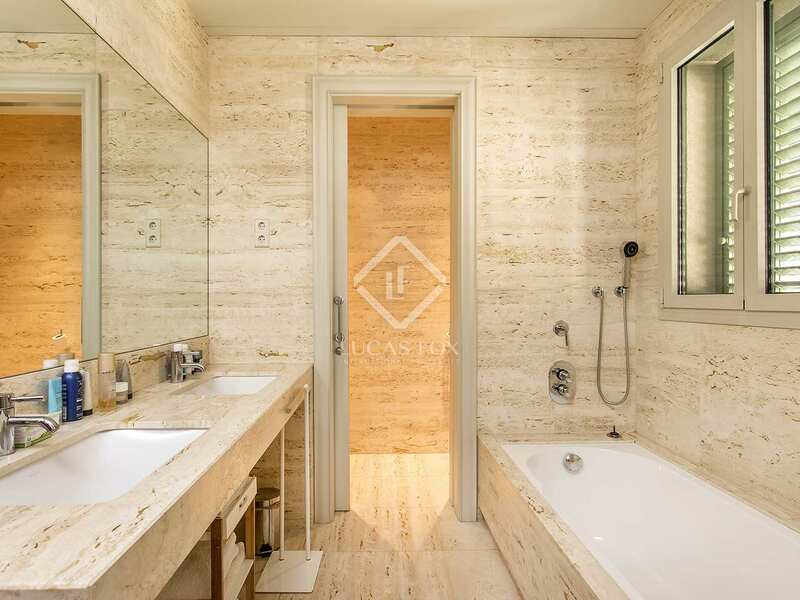 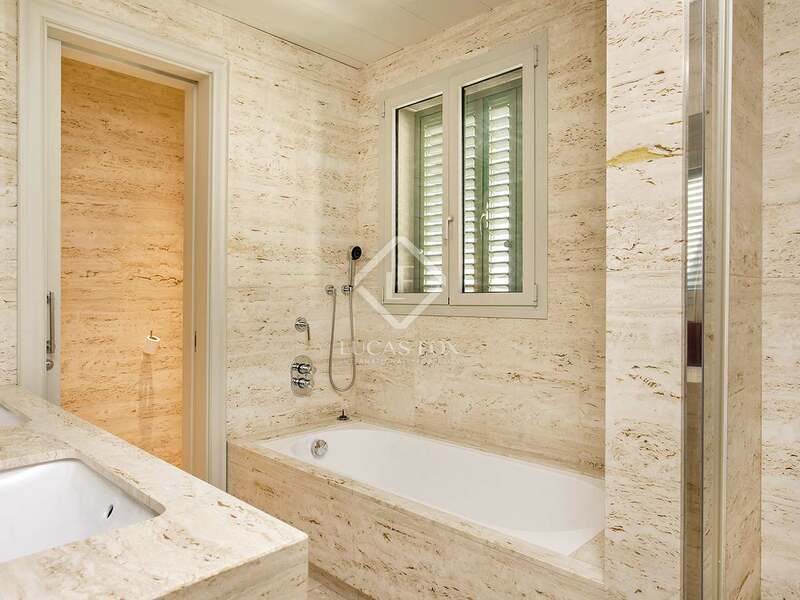 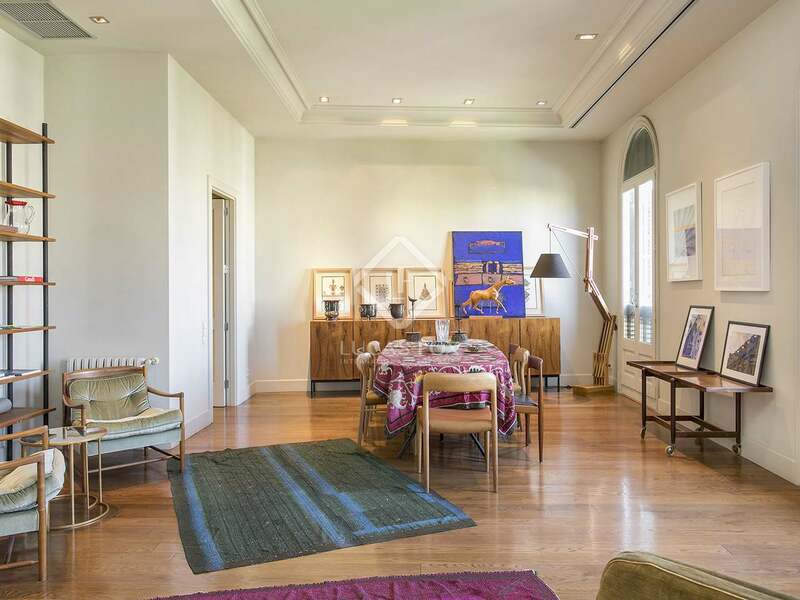 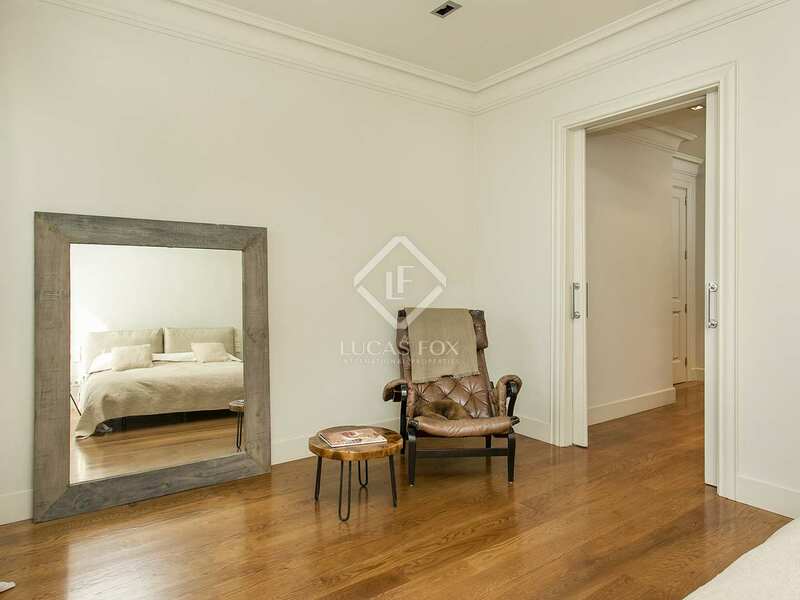 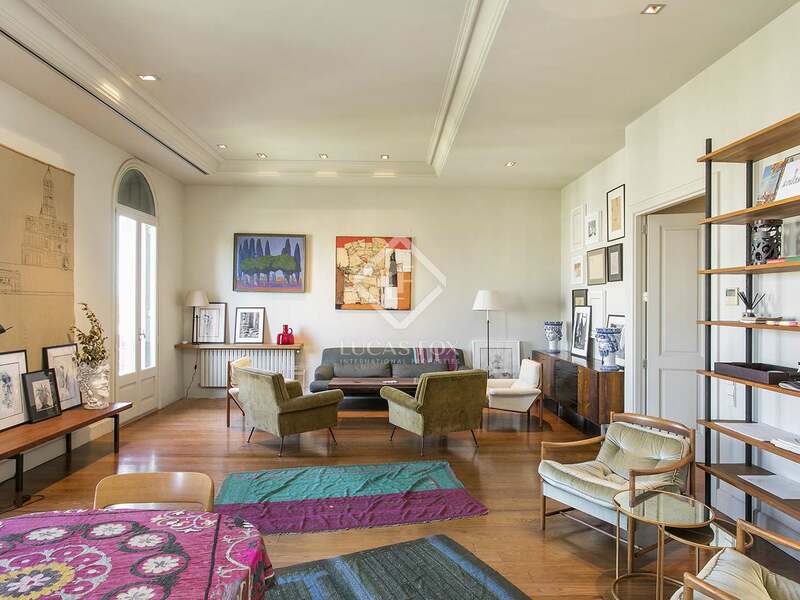 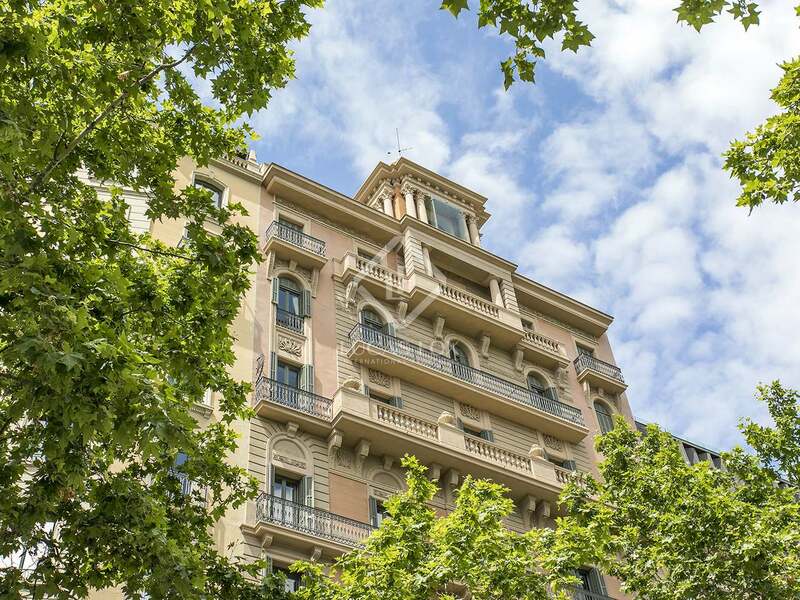 This apartment is in a very special position on a very special boulevard in Barcelona, offering space and luxury right in the heart of the city's most exclusive central neighbourhood. 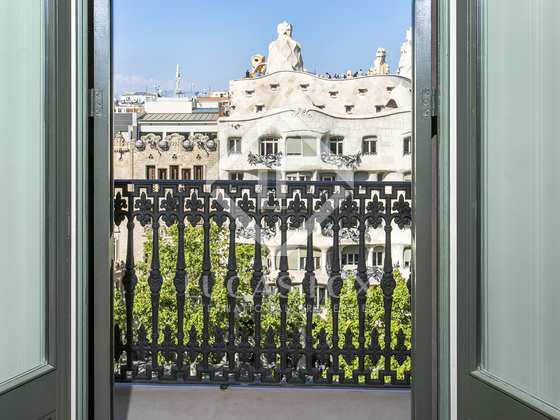 The fifth floor position makes it easy to rise above the bustling streets below, enjoy an oasis of calm and take in a perfect view of your very special neighbours, as well as across town and even to the sea. 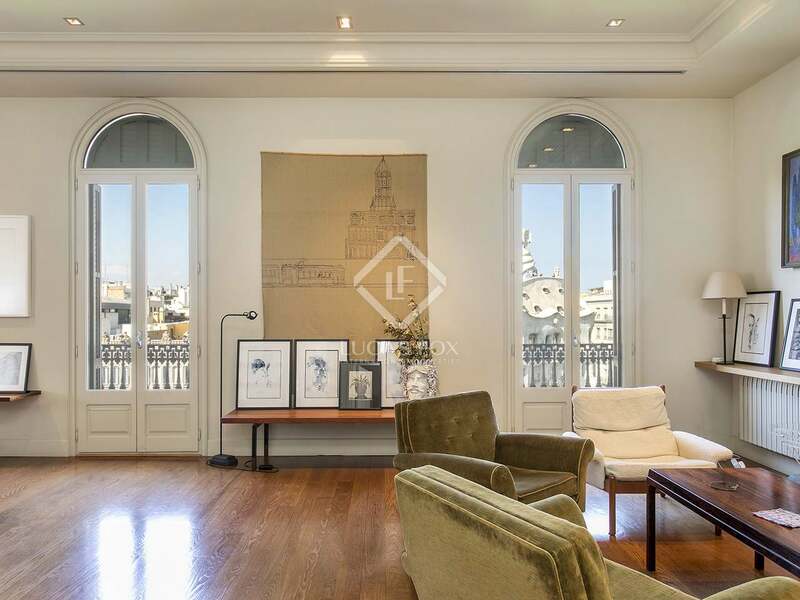 This building has excellent architectural provenance, was originally built in 1850 and retains plenty of neoclassical and modernist features. 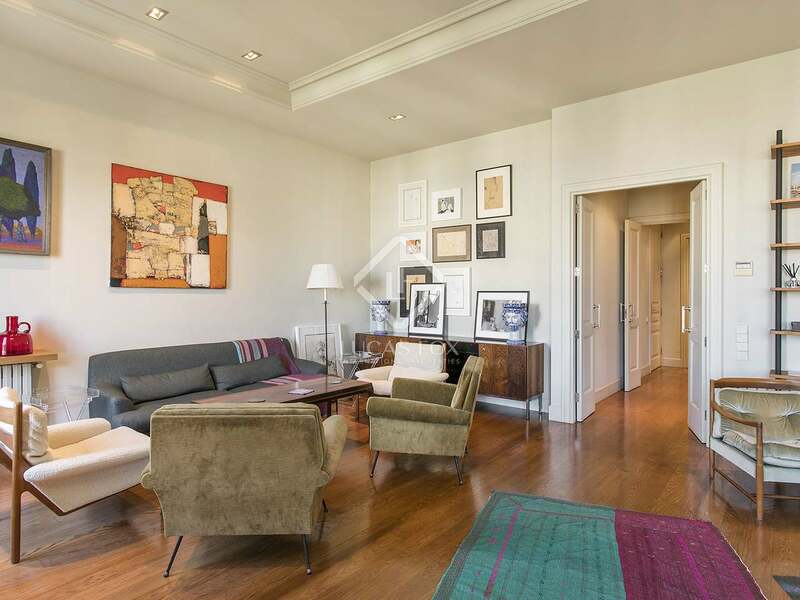 It was originally owned by the Condes de Brias, and was completely renovated to its current impeccable modern standards in 2003. 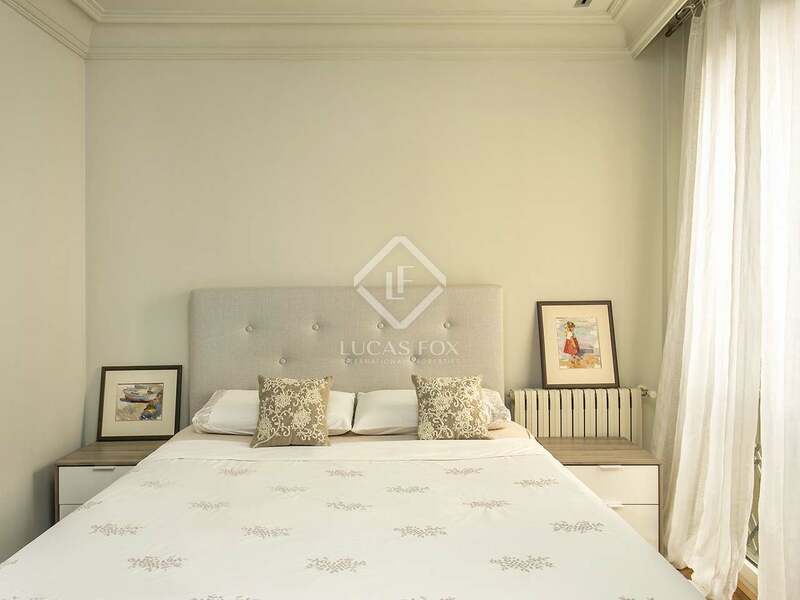 The level of fit and finish is excellent throughout this chic apartment. The standout reception room has triple balconies overlooking Passeig de Gràcia, and leads into the bright, minimalist kitchen and dining area plus 4 bedrooms, all with fitted wardrobes, and 3 bathrooms. 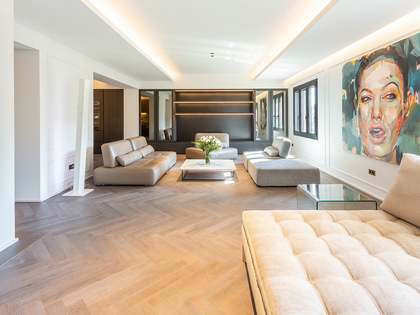 A combination of white paint and rich parquet floors give the property an easy sense of space, while being on a high floor harnesses the sunlight and floods the apartment with natural light. 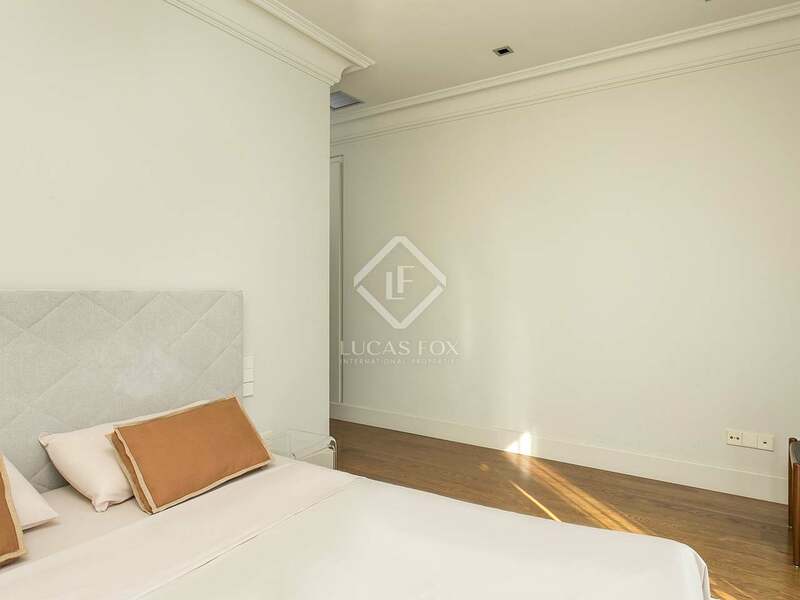 Whether as a home or an investment, this apartment is an area of timeless appeal and permanent demand. 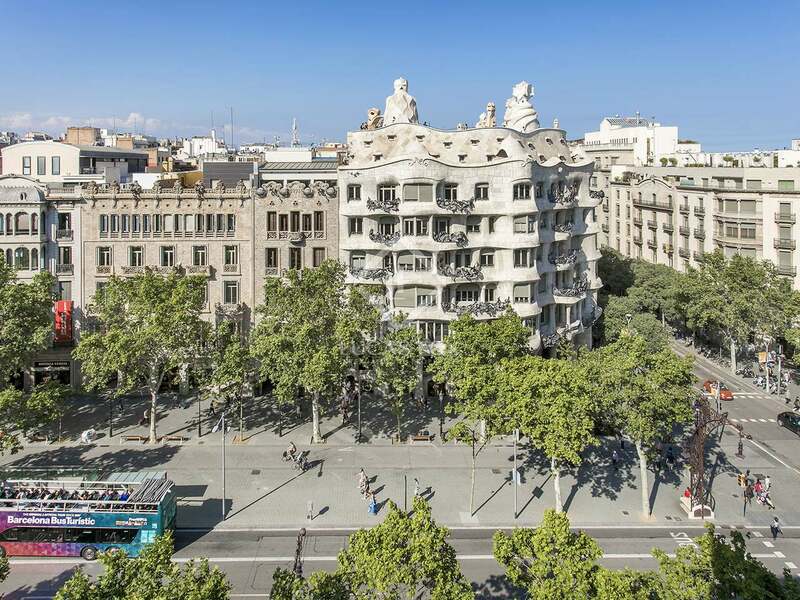 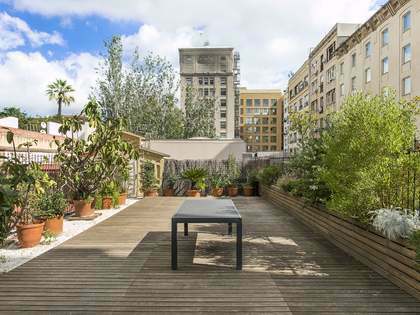 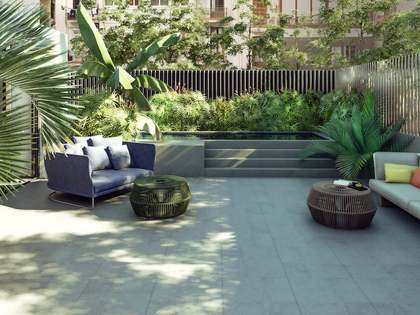 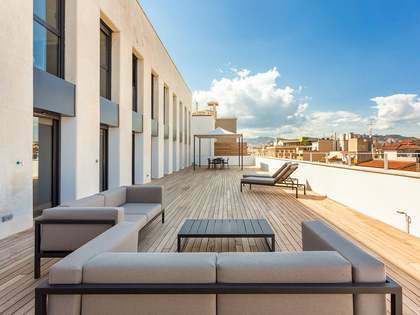 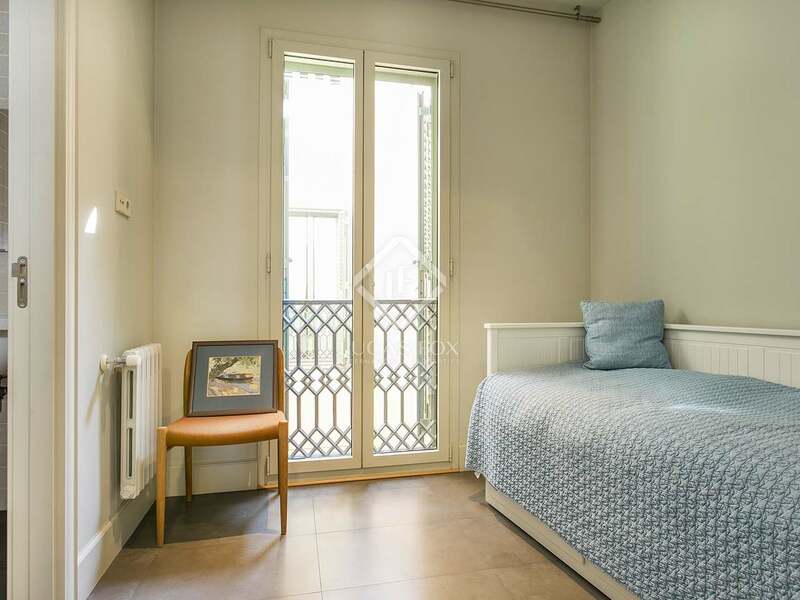 The 'Golden Square' in Eixample Right is as exclusive an address as it sounds, a highly sought-after Barcelona neighbourhood oozing with world-class architecture, global brands and Michelin stars. 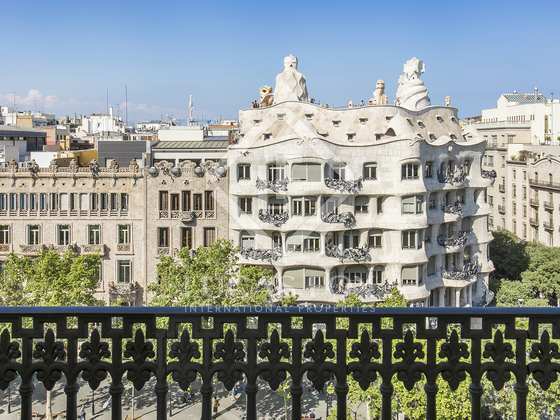 This apartment has La Pedrera as a very special neighbour, but the glittering Passeig de Gràcia is also home to the majestic Casa Batlló and Casa Amattler. An address on this wide, landmark boulevard leading from Gràcia down to Plaça de Catalunya is a true statement of residential intent. 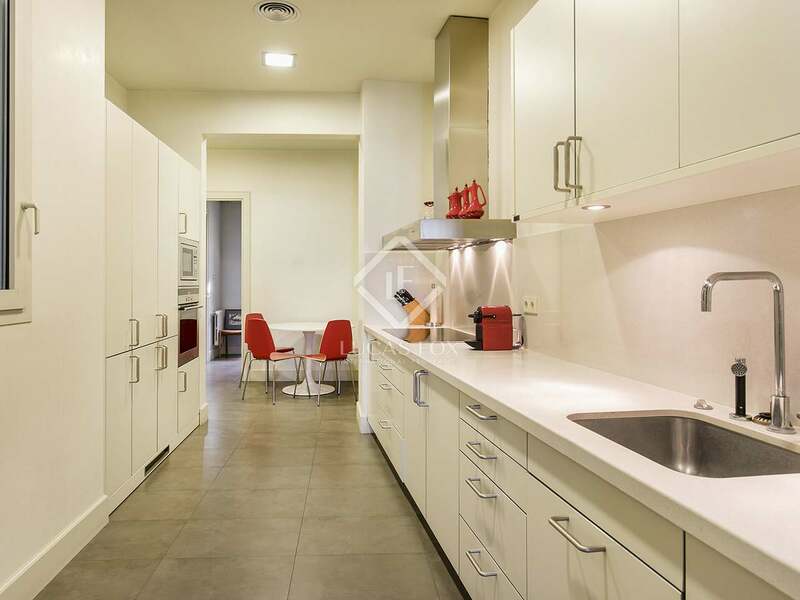 Of course, the transport options are extensive in this part of town, bringing the whole city within easy reach. 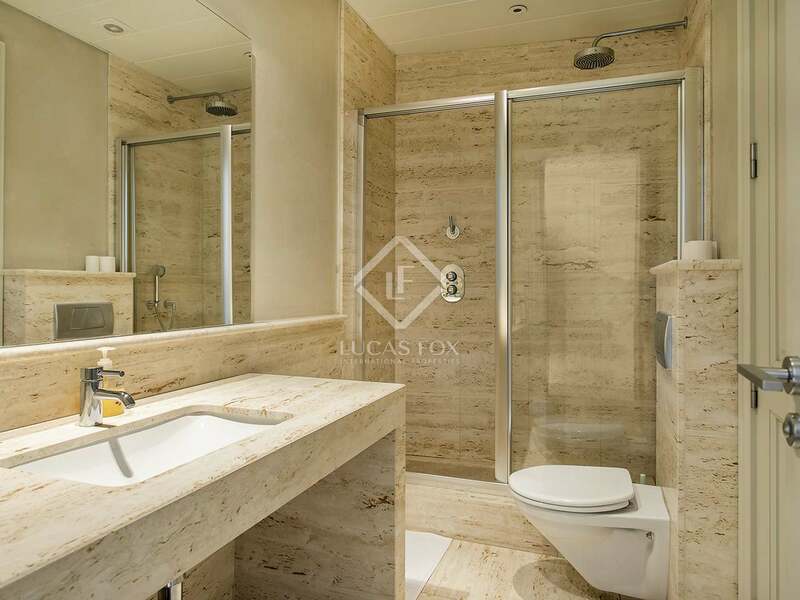 The airport is just a 20-minute drive away.